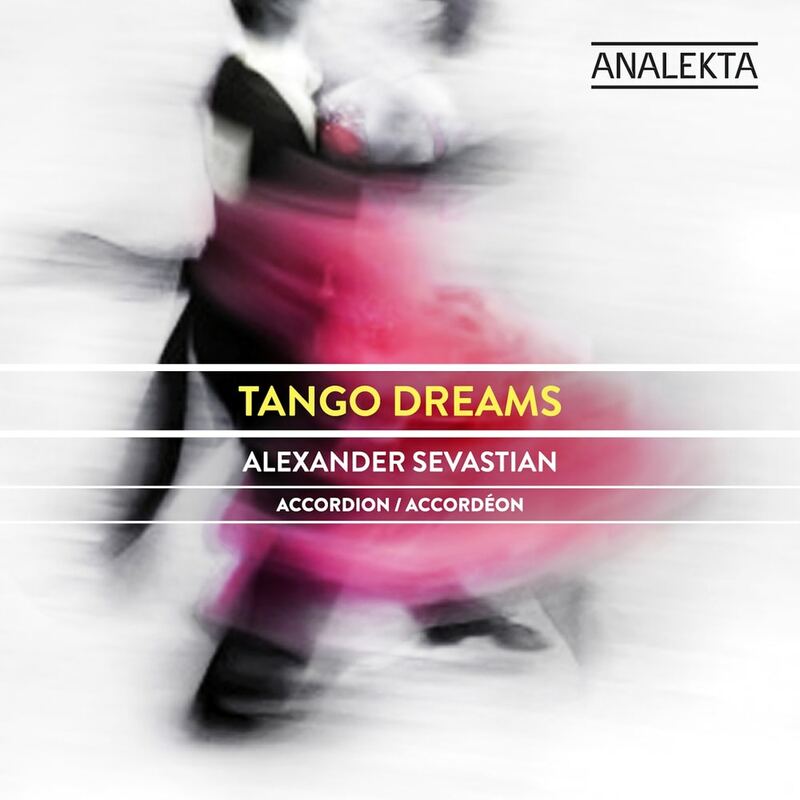 ℗ 2013 Groupe Analekta, Inc.
On Tango Dreams, award-winning accordionist Alexander Sevastian expresses the spirit of Argentine tango, incorporating typical motifs and rhythms from the golden age of tango without ever actually quoting a pre-existing melody. Sections of tango-like music are interspersed with music of a different style, the whole suggesting a dream-like landscape and a psychological journey from introspection to exultation. The programme includes five tangos by Astor Piazzolla alongside other tango classics and a contemporary piece, the title work Tango Dreams for accordion and string trio, a commission from Canadian accordionist Joseph Petric. "When it comes to tango music, especially in the classical world, people think about one composer, Astor Piazzolla. And as much as I respect him, I try to bring something different." This recording was made at the Loudmouth Studios, Toronto on January 3, 4 and February 21, 2013.